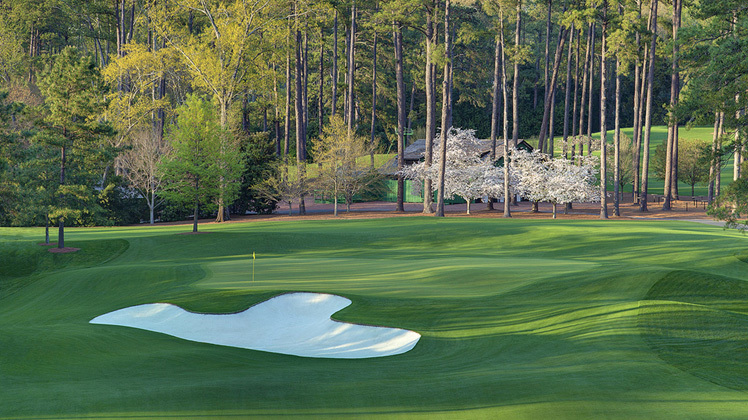 Let’s take a look at the first six holes at perhaps the most beautiful golf course ever. 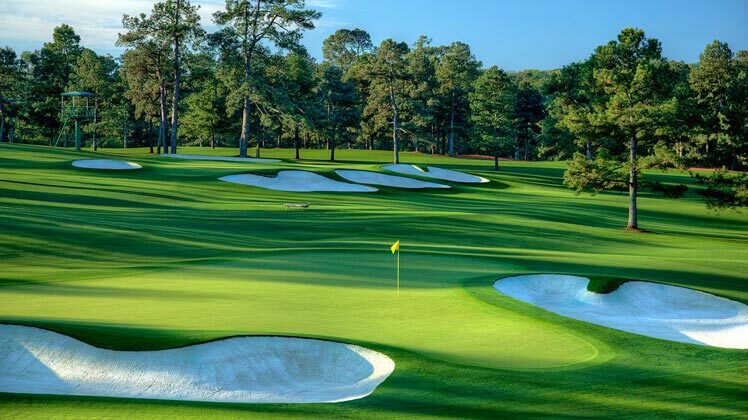 Unfortunately I’ve never had the privilege of playing or even stepping foot at Augusta National, but I’ve watched many Masters on TV (and played it 100’s of times on Tiger Woods’ video game!) and every time I see it I think it is too gorgeous to be real. 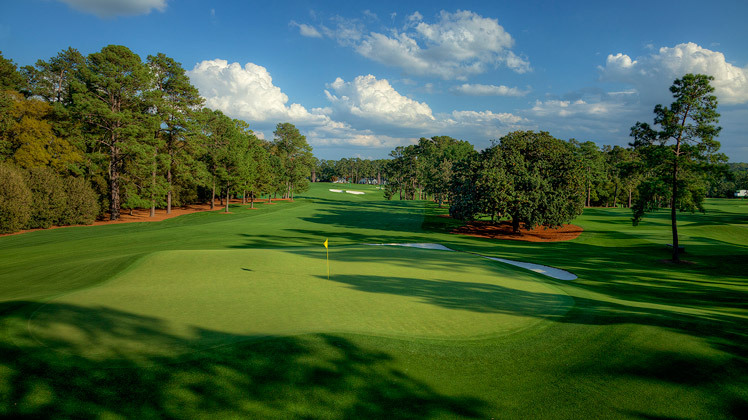 What a great hole to open up with at perhaps the greatest golf course in the world. And by “great”, I mean brutal. Wow. An uphill 455 yard par four, slight dogleg right. A 300 yard carry to get over the fairway bunker. Stay short of that and you’ll have a lengthy uphill approach into a green that does not treat 200 yard approaches very nicely. 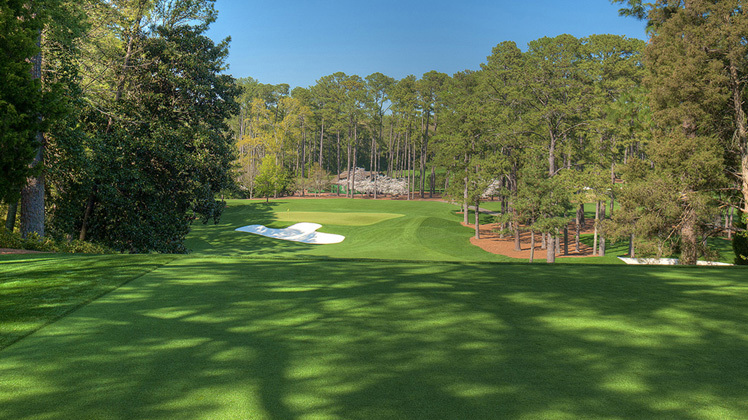 If I’m ever lucky enough to play Augusta National, I may just skip the first and head over to #2. Well, the second hole gets a little easier and is just as gorgeous. Definitely one of my personal favorites on the course. A mid length par five (575 yards!) which doglegs left and is reachable in two, mainly because it is downhill. 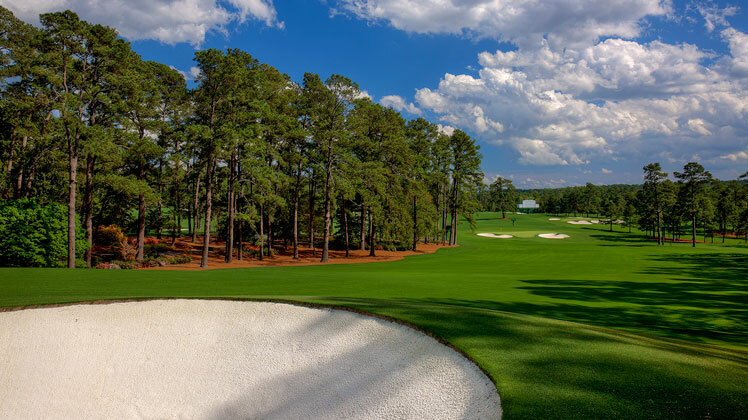 While it is one of the easier holes on paper, the two greenside (both large and deep) bunkers are very protective of the green. Birdies are numerous on this hole but a lack of focus can turn it into a bogey very quickly. 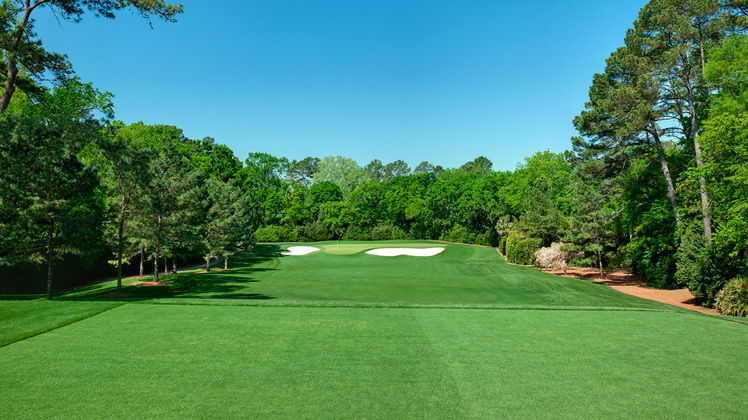 A short, 350 yard par four in which most players go for accuracy off the tee over everything else. 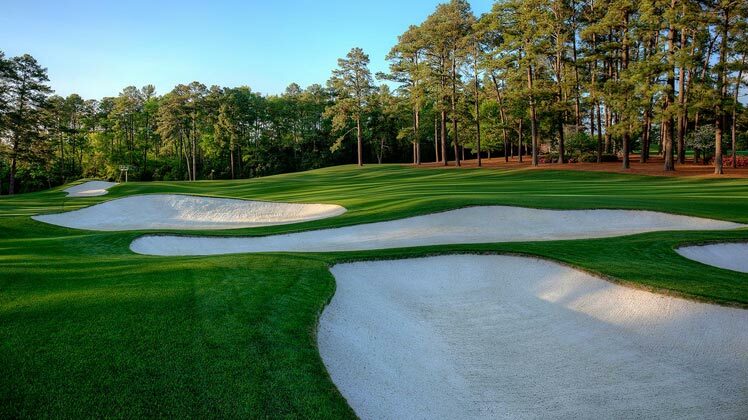 Several fairway bunkers help force this. The green is small and slopes steeply from right to left. On a side note, the hole is the same length that it was in 1934 (many others have been lengthened)! Par three and 240 yards? At Augusta? Heavily guarded by greenside bunkers? Sounds extremely easy, wouldn’t you agree? Well, it is one of the hardest holes on the course. 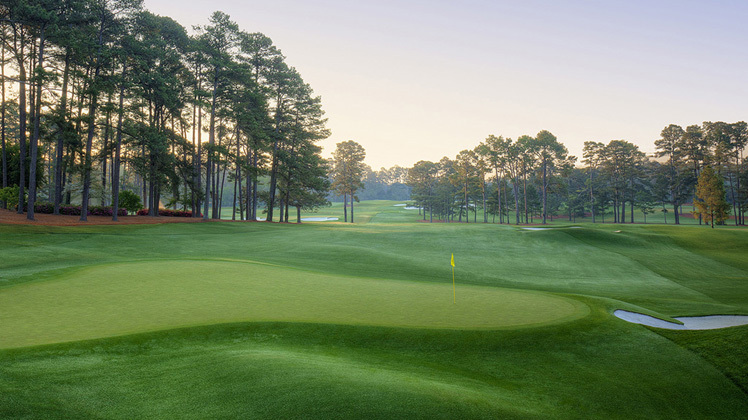 Beautiful yes, but getting out of there with a par is what most players are happy with, as they should be. 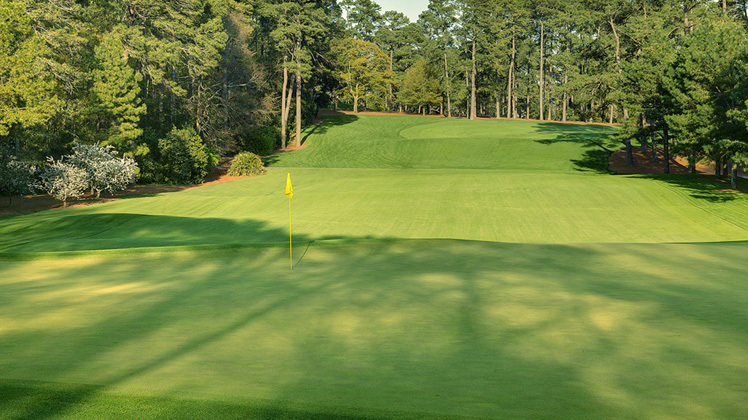 A very nice par four that requires accuracy off the tee (like most holes at Augusta). The green slopes from back to front and a rear bunker will collect shots hit too long. Overall this is a very solid hole that is right out there in front of you. Just make a birdie and move on! 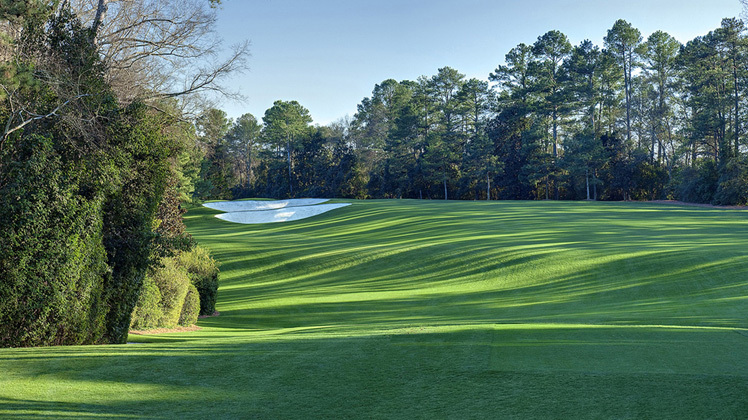 This is one of the most beautiful par threes on Tour in my opinion. 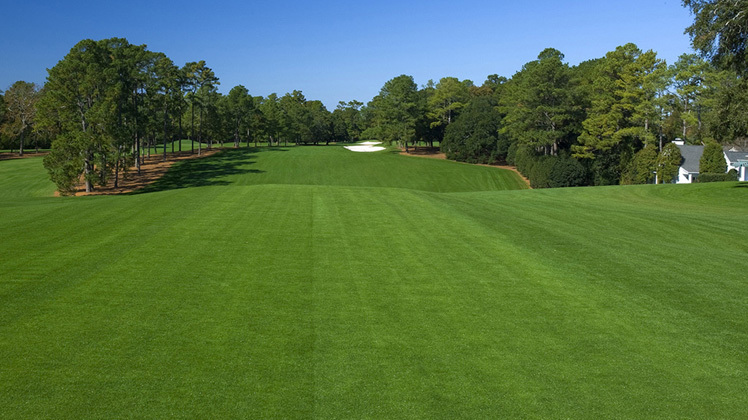 It is a nice mid-iron yardage to a large undulating green. 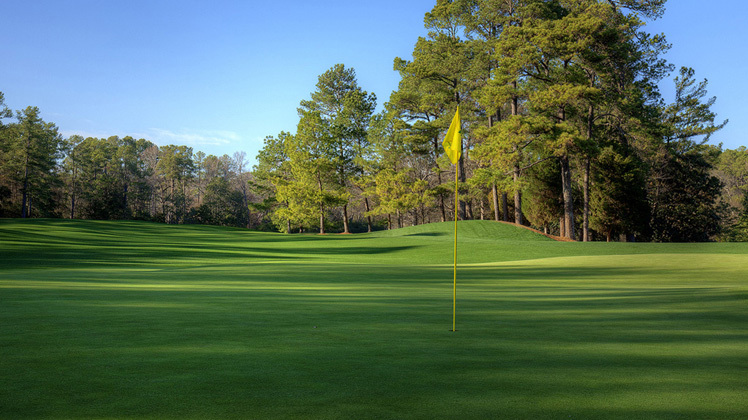 Even good putters will be put to the test, particularly if you hit the wrong part of the green. Play it smart, two putt, move on. Easier said than done!